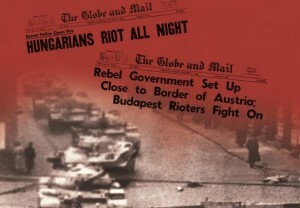 The 50th Anniversary of the Hungarian Revolution will be commemorated in 2006. Following the Revolution over 40,000 Hungarian refugees/immigrants arrived in Canada, enriching this country’s rich multicultural tapestry. The Rakoczi Foundation, in partnership with the Multicultural History Society of Ontario, is launching an oral history project to collect, organize and preserve the personal stories and archival materials of these immigrants who came to Canada in 1956 and 1957 as a direct result of the Hungarian Revolution. A national traveling exhibit will be created focusing on the immigration and settlement, lives and struggles of the Hungarian refugees. This exhibit will be displayed in 10 cities across Canada and in Budapest, Hungary. Visit the 1956 Memorial website to learn more about this exciting project and about how you can get involved.